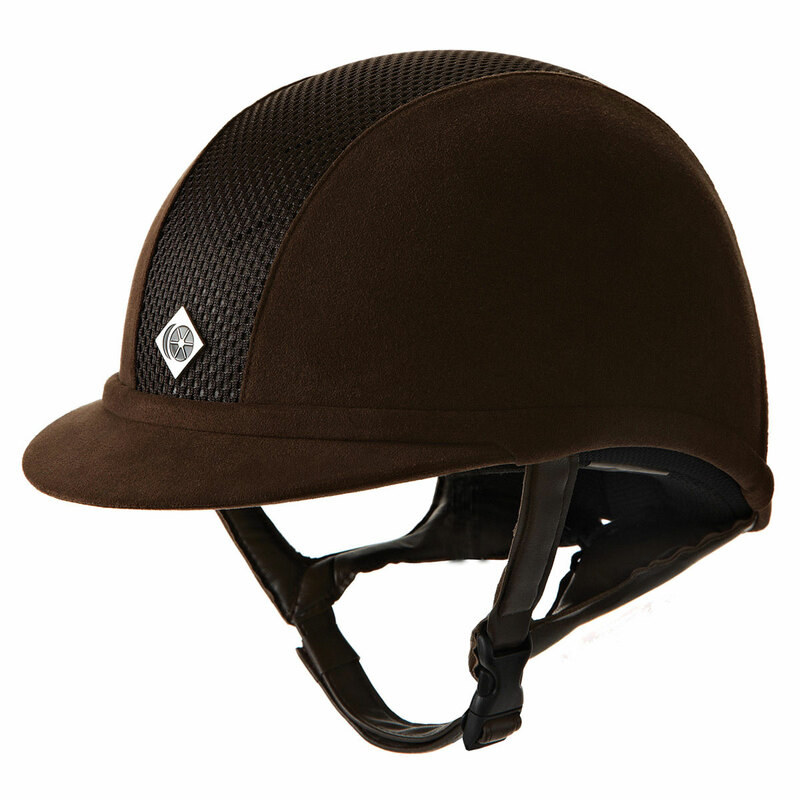 The Charles Owen AYR8 Helmet is a low profile helmet that combines fashionable microfiber suede side panels, with a mesh centre to maximize air flow through the 12 ventilation apertures, achieving the perfect combination of cool equestrian chic. Charles Owen AYR8 Helmet is rated 4.7 out of 5 by 149. Rated 5 out of 5 by Paula from very comfortable very happy with the fit and headband. No headaches. Rated 5 out of 5 by farrier1 from Wonderful helmet This is my third Charles Owen AYR8 helmet and it is just as great as the other two. For a helmet, it is comfortable and really secure on my head without being tight. The helmet that this one replaced is 9 years old and still in ok condition except for the foam band around the head, which is why I replaced it. The foam compresses over time and the helmet is not as stable as it should be. 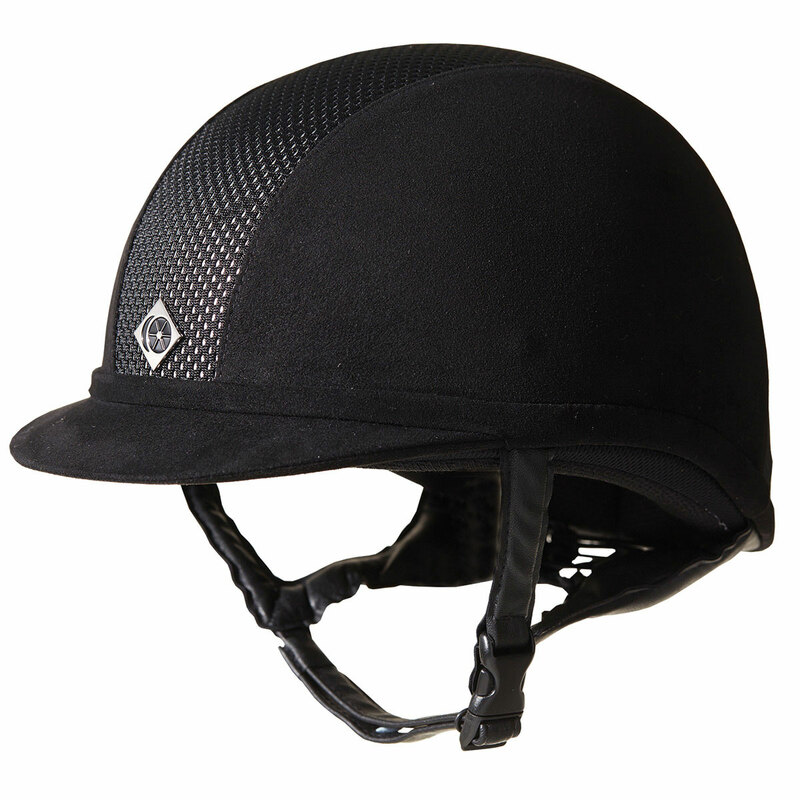 The other AYR8 I have is my 'show' helmet and doesn't get as much wear as my everyday training helmet, which this one is used for. My only wish is that there was something to absorb the sweat from my head instead of the helmet absorbing the sweat. Rated 5 out of 5 by BTMK from Fits Perfectly Because my head is round not oval, this helmet fit like a glove. I purchased it so it fit tightly, they loosen very fast. 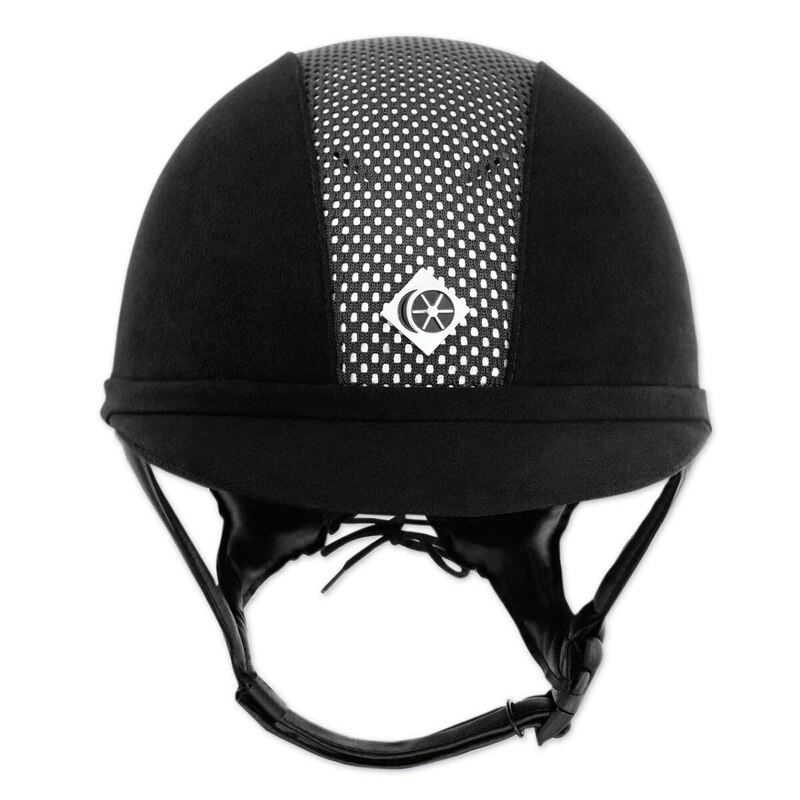 Rated 5 out of 5 by kimberly from Great fit EVen though I try other helmets that are more "in" than the Charles Owen - I always wind up with this hat b/c it fits my head so much better than the other brands/styles. This is big, but comfy and well-made. Rated 5 out of 5 by anna11 from Awesome Helmet I bought this helmet a few years ago and I love it! Super comfy and looks really nice at any shows! I wear it everyday and is by far my favorite helmet I've had! Rated 5 out of 5 by Carly from Best Conservative Helmet! I have a KASK I wear for casual/competitive riding, but cannot use it for the hunters or we because it has Swarovski crystals. This is my go-to for the eq ring, it's super comfy and looks great!! Takes a few wears to break in the foam so it may be slightly uncomfortable at first but breaks in wonderfully! Rated 3 out of 5 by CCCMaryland from Heavy I bought this because I was looking for a new show helmet. When it arrived, it looked great out of the box, but once on it was super heavy. Overall, the helmet was made well, however it was very big and heavy. I exchanged it for the One K and am much happier with it! Rated 5 out of 5 by Zondo from Very comfortable I purchased this helmet during the recent helmet awareness sale. My daughter has a Charles Owen JR8 helmet, and I thought I would like to get one for myself. My past helmets have all been IRH. Happy that I took the plunge to splurge on this helmet. Very comfortable adjustable ties on back of helmet to make it fit like a dream. Good fit. Very happy with this purchase!